This full software solution is the same solution as the in-box CD that came with your printer. This is not a software upgrade. If a prior version software is currently installed, it must be uninstalled before installing this version. 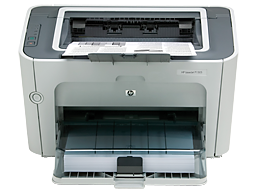 I want to load driver of HP lazer Jet printer p 1007 to my computer operating system is window 8 and Micro soft M.S office 2007. Pl send me link to serve the purpose.